Dendrite arm spacing is called the distance between the dendrites secondary arms (Fig. 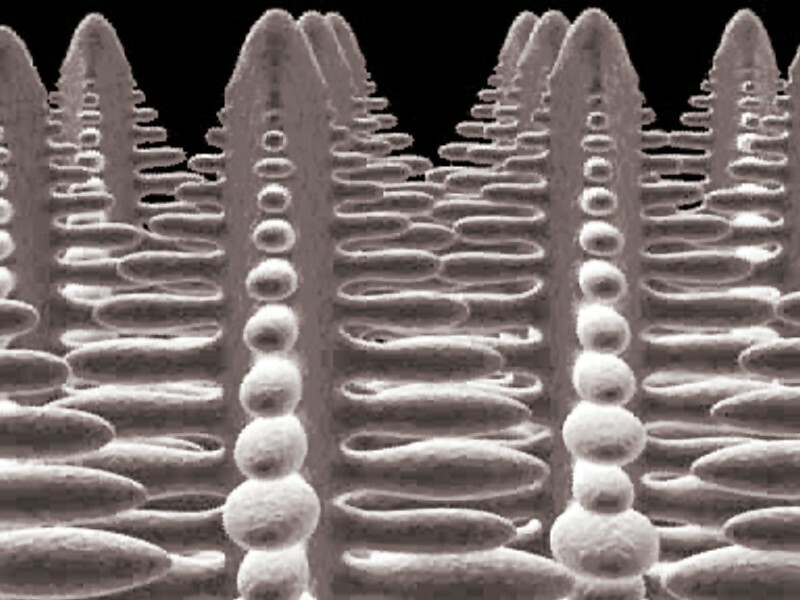 1) as is illustrated by the micrograph. In textbooks, the dendrite arm spacing als often referred to as DAS or as SDAS (Secondary Dendrite Arms Spacing).To determine the dendrite arm spacing, the total spacing from the first to the last arm needs to be determined, i.e. 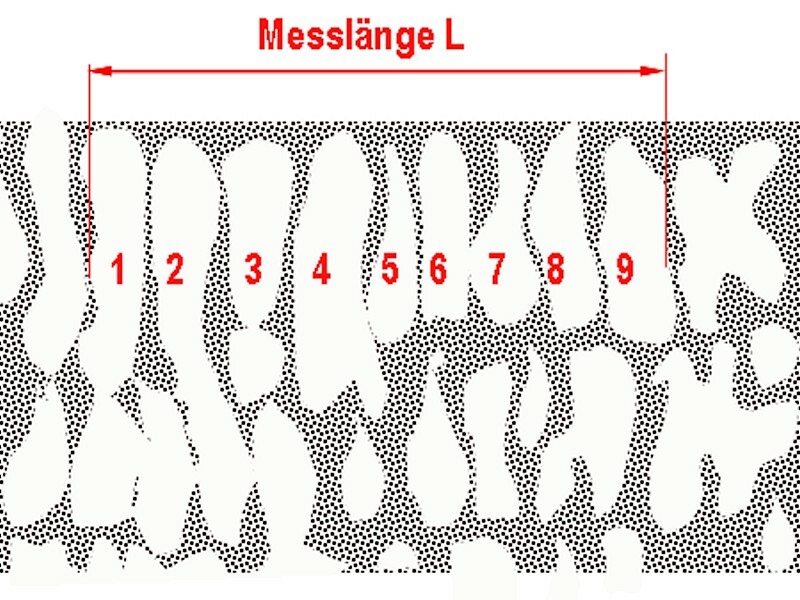 the measuring length L in millimeters (well developed and parallel dendrite arms in the micrograph should be selected). By considering the micrographmagnification V, it is divided by the number n of exinsting dendrite arms in this area and, according to eq. 1 , converted to the unit µm. After repeated measurements in different areas an average value of the results is calculated. In general, aluminum die casting alloys have improved mechanical properties if the solidification time is low (smaller averaged DAS). The faster the materials solidifies, the higher are tensile strength, 0.2 yield strength and elongation. This relation is illustrated by Fig. 3. The conclusion is that the application of cooling chills for sand casting has a positive effect on mechanical properties if sufficient feeding of the casting parts occurs. This effect, including an increase in tensile strength, a 0.2 percent yield strength and elongation, i.e. 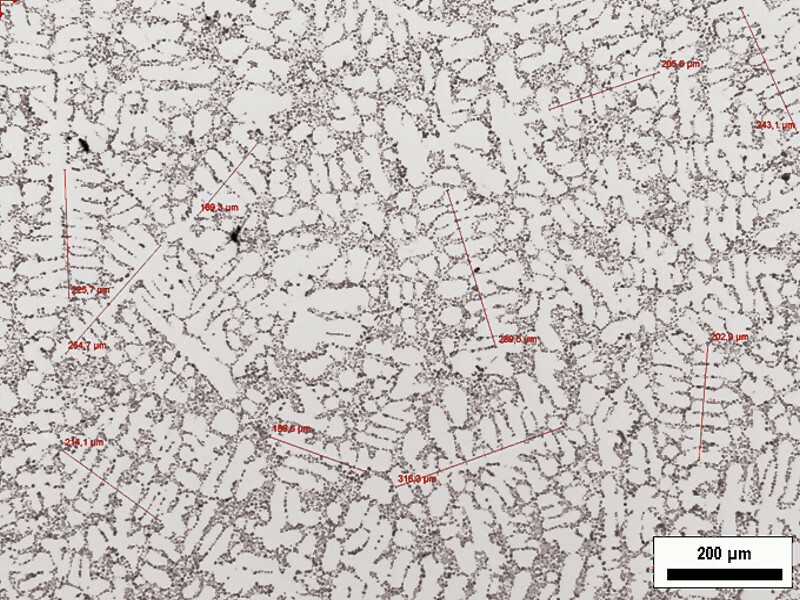 an increase in strengths and ductility, otherwise can only be achieved through grain refinement to a very small extent.In case of cast steel, the dendrite arm spacing influences these properties to a larger extent than the primary grain size, the notched-bar impact strength and the elongation at failure decrease the higher the dendrite arm spacing is. 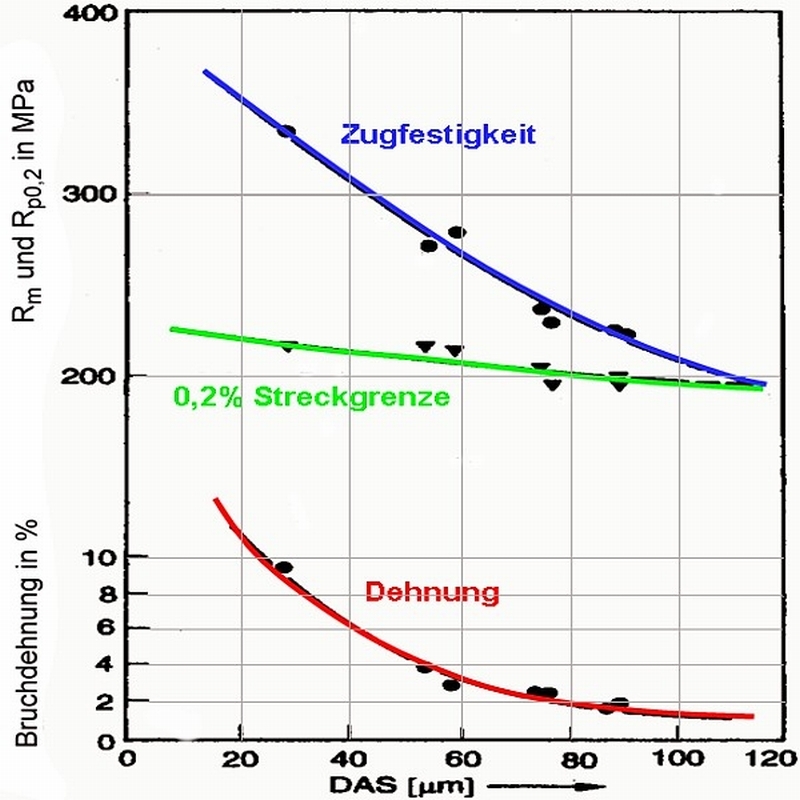 This effect can clearly be seen with high-tensile heat retreatable steel (Rm > 1500 MPa). Modern image analyzing systems enable calibrated images so that the DAS can immediately be measures from the image, as shown in Fig. 4. 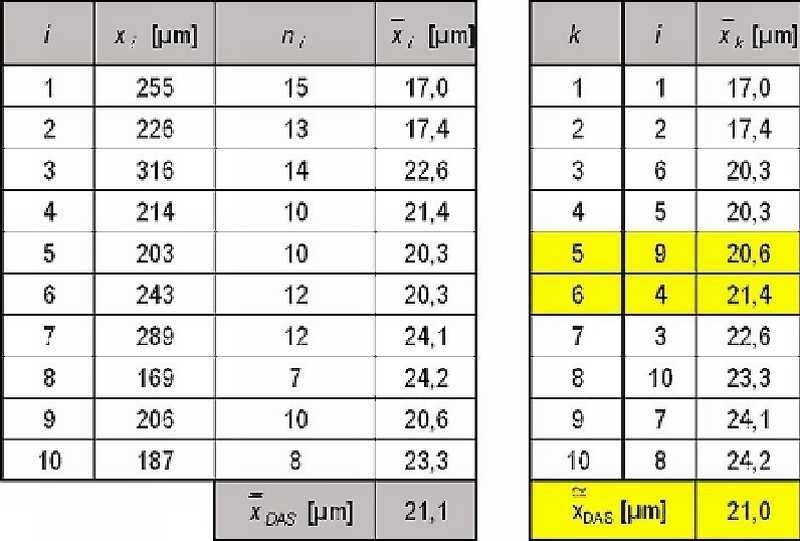 For excluding single coarsened or minimized dendrite trunks, the median and not the average should be evaluated (Table 1).